“Silver Scale Collection” is a series of rugs. 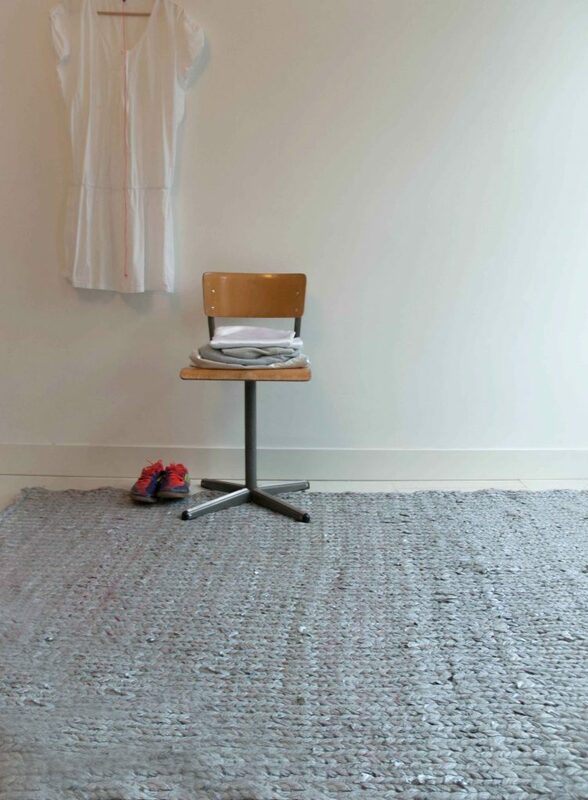 These rugs are hand-made from industrial left-over material. The waste material comes from a spinning mill, that creates yarn for carpet manufacturers. The rug is made from little threads, that are intertwined into a thick yarn. 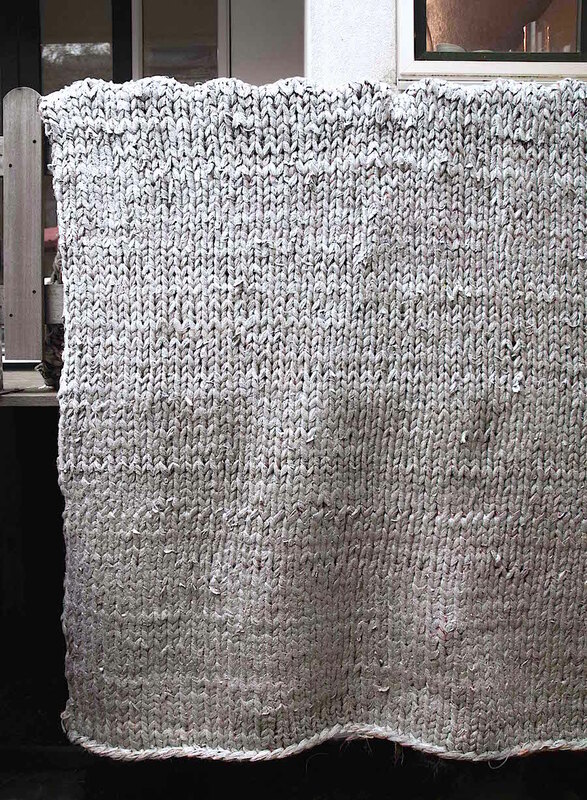 This yarn is used to knit a large scale rug. The rug has a rough appearance by the chosen variety of textures and colors available in the left-over material. 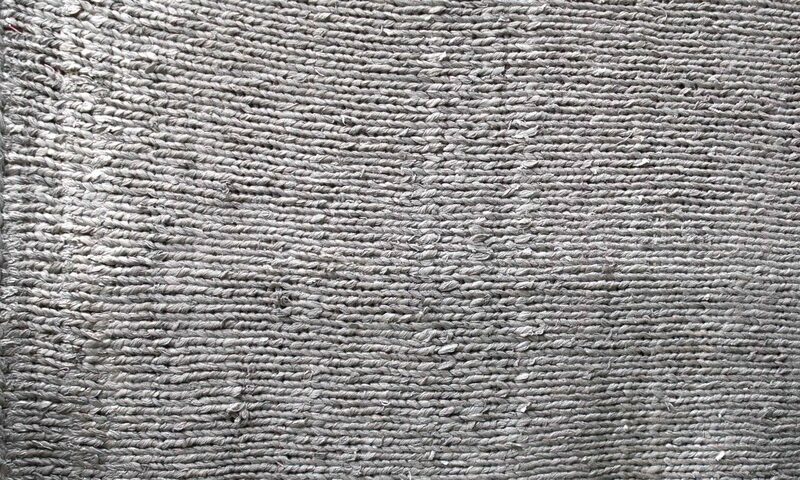 The little threads are secured into the rug by a silver coating. This textile-coating creates a thick layer on top of the rug. 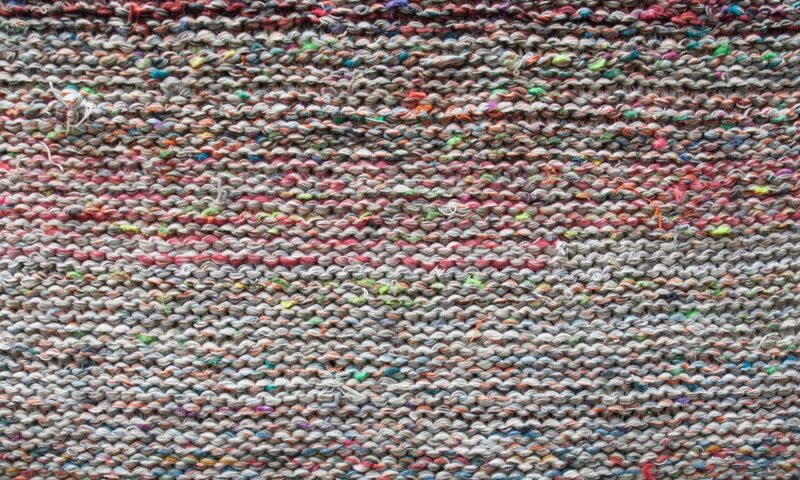 The bottom of the rug (connected to anti-slip layer) reveals the multi-colored re-used yarn skin. The texture of the silver top, resembles the scale of fish. “Silver Scale Collection” is published in Cover Magazine.